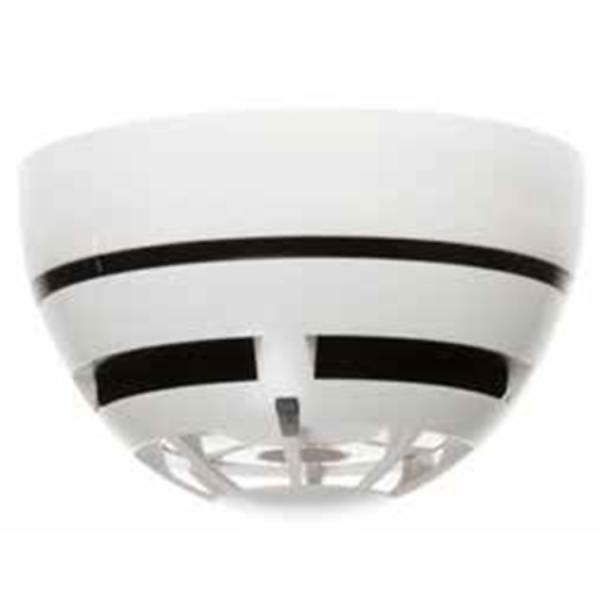 The ROP-E wireless dual optical smoke detector is the latest in wireless smoke detector technology. It is a fully intelligent device and compatible with FIREwave wireless Translator and Expander modules. The detector is designed for open area protection and utilises dual-path optical smoke detection technologies and algorithms for improved performance, whilst maintaining the high levels of unwanted alarm rejection. Utilising well- proven adaptive radio signal processing algorithms ensure the highest levels of life safety and system reliability are achieved. An in-built magnet test allows easy activation to verify correct functionality and response. Advanced dual path optical chamber design. Internal algorithm processing optimises performance 3rd party approved. Up to 10 year battery life. Utilises standard low cost lithium battery technology Bi-directional wireless communications. Compatible with all FIREwave Translators and Expanders 5 year product warranty. Fast test feature for engineer testing.